For hundreds of years, the world has come in contact with French culture through the export of French ideas, cuisine, fashion, literature, art and film. As the largest Western European nation and one of the leading economies in the region, France continues to be a powerhouse within the European continent. French ideas developed in the Enlightenment period – such as rationalism, democracy and liberty – have influenced present-day Western culture. In contemporary society, the French are often formal and courteous people who value artistry and intellectualism. For many, to be French generally means that one has French citizenship and exhibits the behaviours and ideals integral to French culture. For example, the ideals expressed in the national motto of ‘Liberté, Egalité, Fraternité’ (‘Liberty, Equality, Fraternity’) are often identified as essential to what it means to be ‘French’. For many, the values of equality and fraternity indicate that the French are a unified and undivided group. On a personal level, many people continue to revise what it means to be French, especially in light of the growth of the EU and the influx of immigrants. However, there is a prevailing attitude that France ought to be the home of the indivisible ‘peuple français’ (‘French people’). In reflection of this, the government prohibits state authorities from collecting data regarding personal information to avoid ethnic and religious markers highlighting differences within France. This makes it complicated to discuss French society’s ethnic and religious composition. Indeed, the homogeneity of contemporary France is becoming a contested and contentious topic. Despite the lack of data, it is understood that French society has become increasingly diverse over recent decades. For example, it currently has one of the largest Muslim populations in Western Europe. Muslim communities (largely made up of migrants from North Africa) have contributed to cuisine, literature and the arts in France. Some have embraced the influence of other cultures, while others believe that migrants should assimilate into the dominant French culture. Nonetheless, members of French society, including migrants, continue to redefine what it means to be French. French society is quite individualistic, meaning that the interests of oneself and one’s immediate family take priority. Often, appropriate interaction depends on whether a person is within one’s social circle or not. Indeed, there are many nuanced social conventions in France. With people outside of their social circle, the French are formal and courteous. One example is in the French language, with the distinction between ‘vous’ and ‘tu’ (see ‘Verbal’ in Communication). It is highly important to follow social conventions and exhibit an appropriate level of formality in France. The French term ‘faux pas’ (‘wrong step’) refers to an embarrassing or unsophisticated act or remark in a social situation. An example of a faux pas would be to greet an acquaintance by their first name. Sometimes, the formal and reserved nature of the French people coupled with the directness of the French language may unintentionally come across as cold or arrogant to a foreigner. However, the proper decorum generally loosens and relaxes a lot around good friends and family. A French person is likely to show warmth and friendliness once they have properly acquainted themselves with you. 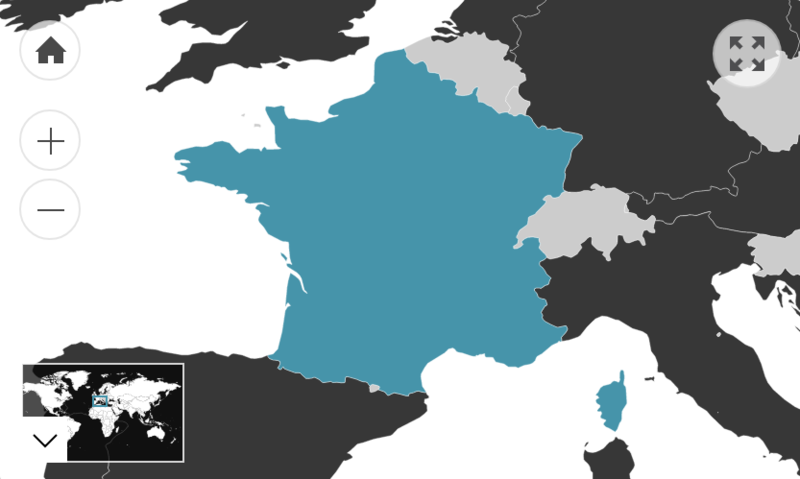 The French language is the official and main language spoken throughout France. Previously, French was the internationally accepted language of diplomacy and was widely spoken on four continents. Today, it is the second most widely learned foreign language in the world (according to the French Ministry of Foreign Affairs and International Development). The French people feel a deep sense of pride in their language as it is often closely linked to French identity. Individuals who wish to become citizens of the country and be accepted as part of the ‘peuple français’ (‘French people’) are expected to know and communicate in French. The French language is also seen as an important factor in retaining a unique French identity in light of globalisation and the imports of American culture. Indeed, the rise of the English language brought sadness and frustration to the French as it marked the decline of the influence of France throughout the world. The language usually proves to be a difficult barrier for those visiting the country, as most French prefer engaging in their local language. French is quite a precise and structured language. At times, its direct translation into English can incidentally come across as arrogant and blunt to those unfamiliar with the language. Most locals have some degree of English proficiency and will reciprocate efforts to communicate if one demonstrates an attempt to speak French. The emphasis on the French language has meant that regional dialects and minority languages are given little recognition. Nonetheless, regional dialects continue to be important to some inhabitants of each province. Some preserve their regional language through tradition or through a voluntary and deliberate return to a specific regional dialect. In France, social stratification is determined by two main factors. The first class indicator is one’s economic status. People’s class in this sense is often noticeable in their taste in music, art, food and leisure activities. The dominant class is often referred to as the ‘bourgeoisie’ and is considered to be the group that has a high amount of influence over education and businesses. One avenue of social mobility between economic classes is through education. Indeed, education is highly valued in France, with many higher-paying careers requiring a high level of education. While there is some social mobility in France, people generally do not challenge the hierarchical structure. Rather, they tend accept differences of status within society. The second form of stratification is between the urban and rural population. France has had a significant rural population throughout history and the country continues to have a distinction between provincial areas and large cities like Paris. The people and culture associated with Paris are ‘Parisian’, while the people and culture from the provinces are referred to as ‘Provinciaux’ (‘Provincial’). Paris has long been considered the capital and cultural centre of France. Most jobs requiring a high level of education are found in the capital, and most highways throughout the country lead to Paris. Outsiders often view French culture as synonymous with the culture found in Paris. However, the culture of provincial France differs in many ways. These cultures vary from province to province, depending on where the province is located geographically. For example, the northeast region of Grand Est shares its border with Germany and has notable German influences throughout. A deep appreciation and respect for the arts is common throughout France. Children are taught at a young age to appreciate artistry and be patient since quality work (such as art or cuisine) may take time to produce. This appreciation generally follows a person throughout their life. A common expectation in France is that shop owners and chefs receive the appropriate respect for their talents. For example, the world-renowned Michelin Star rating system for restaurants was developed in France. Many hobbies, professions and daily activities revolve around artistry. Meals often take a considerable amount of time to prepare and, in turn, are eaten slowly as a way to acknowledge and enjoy the creation. In France, cinema and theatre attendance is still common despite the increase in home entertainment options. For those residing in larger cities, visits to historical monuments, art galleries and museums also continue to be popular activities. French literature has a long and rich history throughout the world. Many philosophers and writers from France have left a lasting legacy in literature. At times, the French may come across as pessimistic or bleak. This is often associated with the intellectualism of French culture. Debating and deep discussions about politics, cultural events, education and philosophies are common. They enjoy rationally based discussions about new and novel ideas.